Enderby EYE is a website focused on the village of Enderby, Leicestershire and its surrounding area. It is a volunteer-run ‘online-only’ publication. The Enderby EYE website has been reporting on events and activities in the Enderby area since 2005 – over 13 years. It achieves this through the valued contributions from members of the local community and input from its volunteer staff. Today the goal remains the same as it was in 2005 – to aggregate contemporary information about Enderby and its vicinity and to serve as a resource for those wishing to foster community spirit within the village, and former residents who would like to ‘keep in touch’. The site is monitored (and when necessary, updated) on a daily basis. The EYE also has a Facebook page and can be followed on Twitter. With all aspects of the website we rely on (and greatly value) supporters’ contributions in terms of news, anecdotes and photos, etc. If you would like to read something of the history of Enderby, Leicestershire, you can view our ‘Brief History of Enderby’ page, compiled for us by EYE correspondent Erica Statham. Enderby EYE, its authors and hosts reserve the right to amend this policy. The Enderby EYE website is strongly committed to protecting the privacy of its users and takes reasonable steps to protect user information. This privacy statement applies to all pages on this website and does not extend to third party web sites which may from time to time be accessed via links on these pages. We recommend viewers check any linked-to sites for their unique privacy statement. We do not want you to receive unwanted email from us. We will only contact you as a response to enquiries or to acknowledge submitted material. We do not sell, exchange or give your email address to a third party. Enderby EYE, its authors and hosts of this site may, from time to time, record details of individual accesses to pages on this website. We use this information for our own marketing and auditing purposes. This information may include details of internet IP addresses and browser types. Access, by third parties, to full log files may be allowed under controlled circumstances to comply with any legal obligations. Enderby EYE does not provide or re-sell information to third parties. Cookies are currently set by Twitter and Facebook. If you want to prevent sites setting third party cookies, instructions to do so are here. Enderby EYE is a volunteer-operated, non-commercial project that relies on volunteers’ contributions in terms of news-gathering and production. The project is not dependent for its existence on commercial revenue, from any source. Under this policy, the Enderby EYE Website – including its Facebook and Twitter feeds – do not normally* carry commercial messages or advertising. *The exception (solely at the Editor’s discretion) is where a commercial undertaking, physically based in Enderby, is offering a unique product or a tailored ‘service-in-kind’ that demonstrably assists or benefits members of the community in Enderby and its immediate neighbouring areas. In such a case, an ‘infotainment’ type message may be allowed on the Enderby EYE website (and in consequence automatically fed to Facebook and Twitter pages), delivered as a ‘news item’. The use and viewing of this website and documents located at www.enderbyeye.co.uk by any person is deemed to confer to the hosts and authors of enderbyeye.co.uk that person’s agreement to the terms and conditions outlined below. If you (the viewer/reader) do not agree to the terms and conditions, you should cease viewing/reading the site. The authors of Enderby EYE reserve all copyrights protected by both statute and common law. Permission is granted for the use of texts or images cited for legitimate research or review. Please contact Enderby EYE for permission (normally granted) to use text or images published on Enderby EYE. Whilst the authors and hosts of Enderby EYE make every effort to ensure that information placed on this website is accurate (which for the avoidance of doubt does not include material placed by web site readers within associated comment areas, or material on third party web sites which are accessible by the use of certain links in this web site but over which Enderby EYE has no control), they do not give any warranty or representations, express or implied, about its accuracy, completeness, or appropriateness for a particular purpose. It is a condition of the authors and hosts of Enderby EYE allowing you, the viewer/reader, access to this website that you assume full responsibility for using the information on this web site and that you accept that the authors and hosts of Enderby EYE will not be liable for any action you take in reliance on information on this web site. 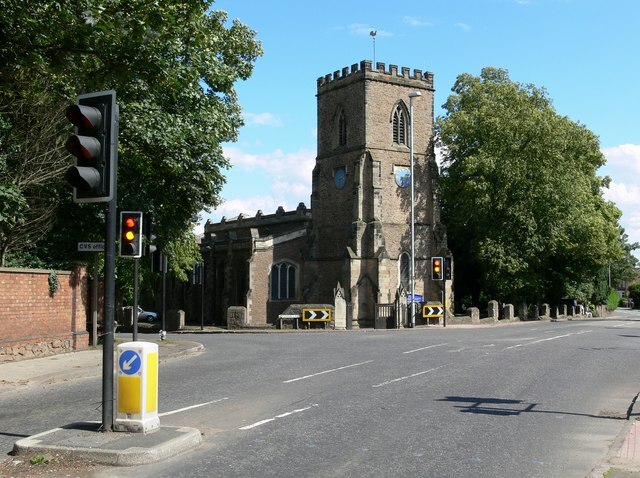 This web site is intended for use by UK residents or ex-pat viewers with a legitimate interest in Enderby, Leicestershire, only and only in relation to their activities within the United Kingdom. Under no circumstances should you apply or rely on any information contained in this website if you are outside the United Kingdom. Information correct as at 18th March, 2019.